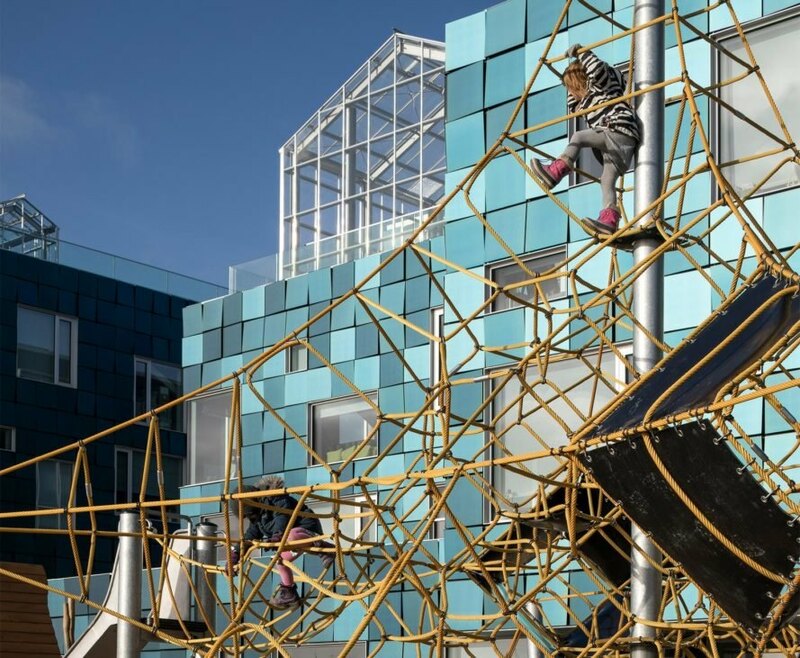 The 25,000-square-meter school in Denmark is covered with a whopping 12,000 solar panels, which provide more than half of its electricity needs. 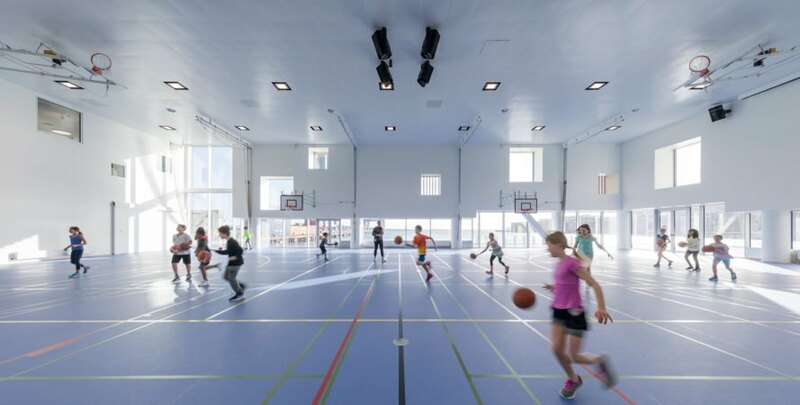 Unlike most solar-powered buildings, the panels aren’t solely relegated to the school’s rooftop. 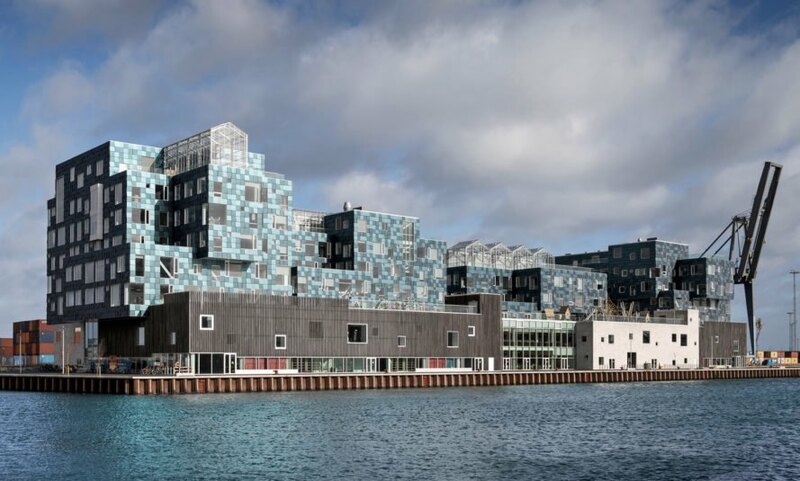 In fact, more than 6,000 square meters of the facade is clad in sea-foam hued photovoltaics. The days of hiding unsightly solar arrays are fading into the past. C.F. 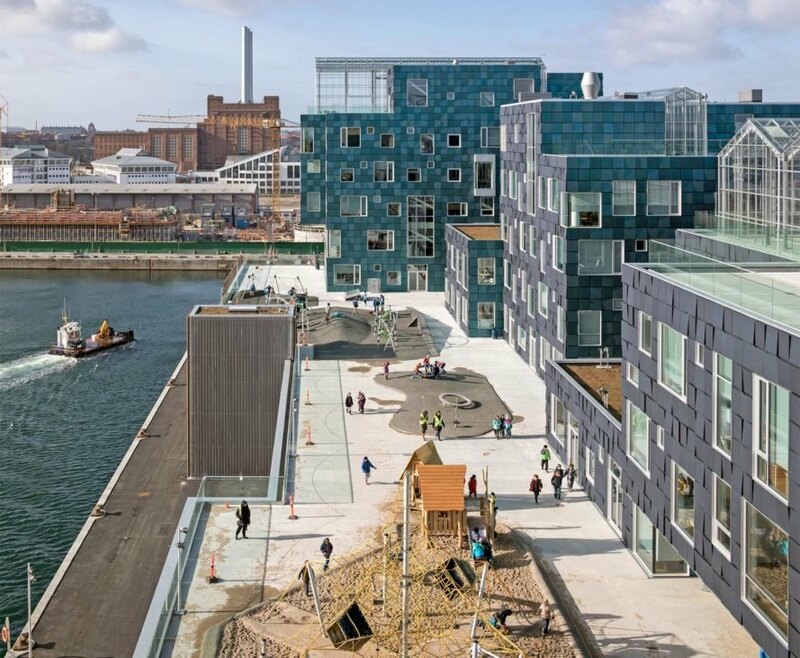 Møller‘s International School Nordhavn in Copenhagen uses solar panels to produce clean energy – and also as a part of the building’s aesthetic. The solar panels were developed by Swiss research institute EPFL (École Polytechnique Fédérale de Lausanne). The panels are actually clear; the beautiful sea green color is a result of technology that adds fine particles to the glass surface, giving the appearance of color. 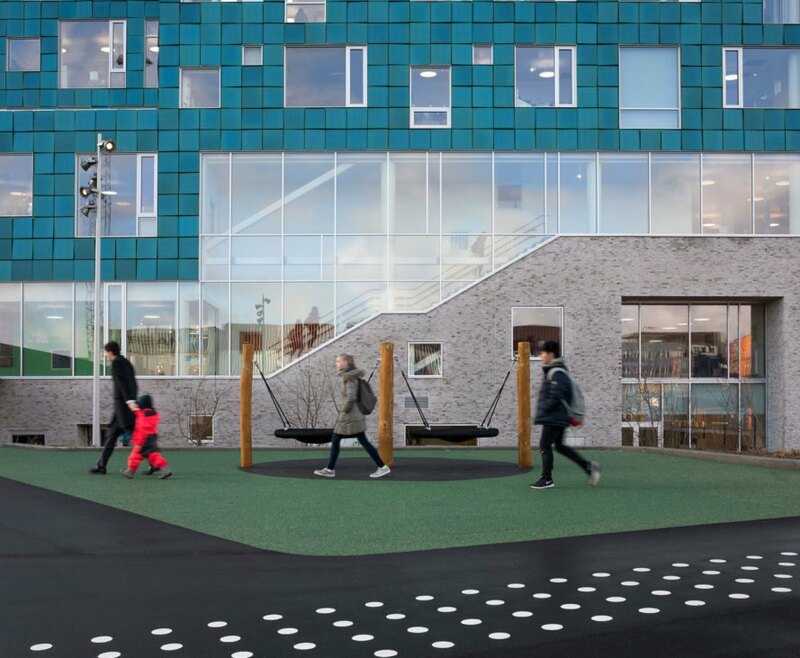 The result is a reflective green hue that varies with the light, providing the school with an attractive exterior that is beautiful, functional, and green. 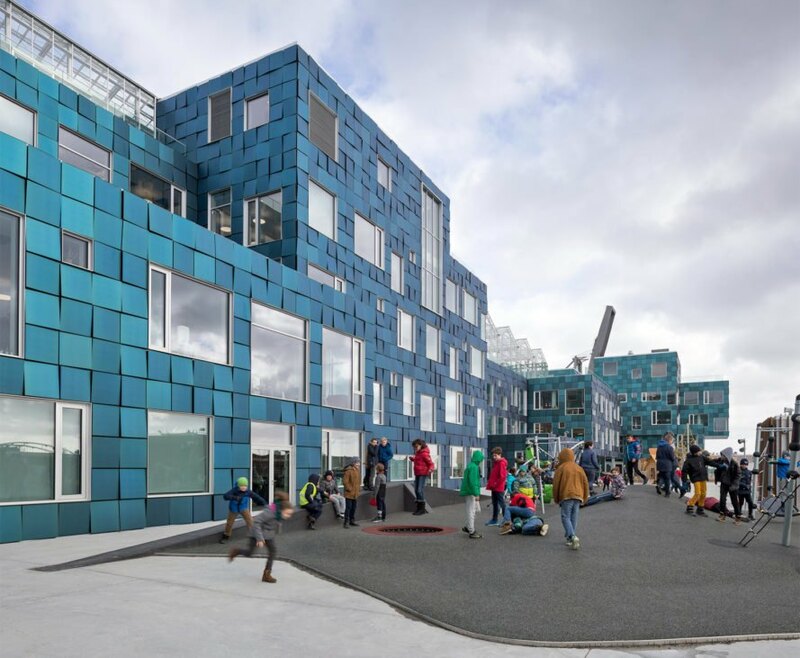 The 25,000-square-meter school in Denmark is covered with a whopping 12,000 solar panels, which provide more than half of its electricity needs. 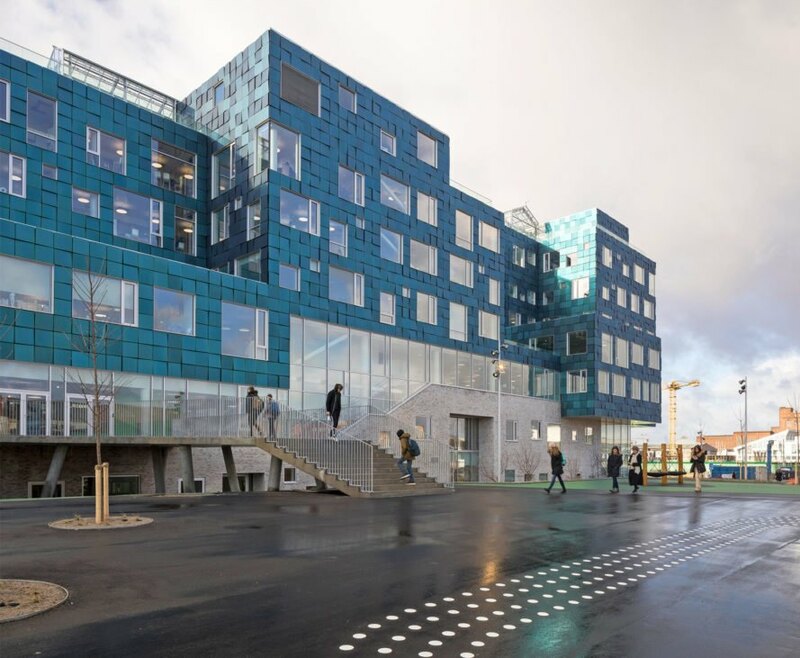 Unlike most solar-powered buildings, the panels aren't solely relegated to the school's rooftop. 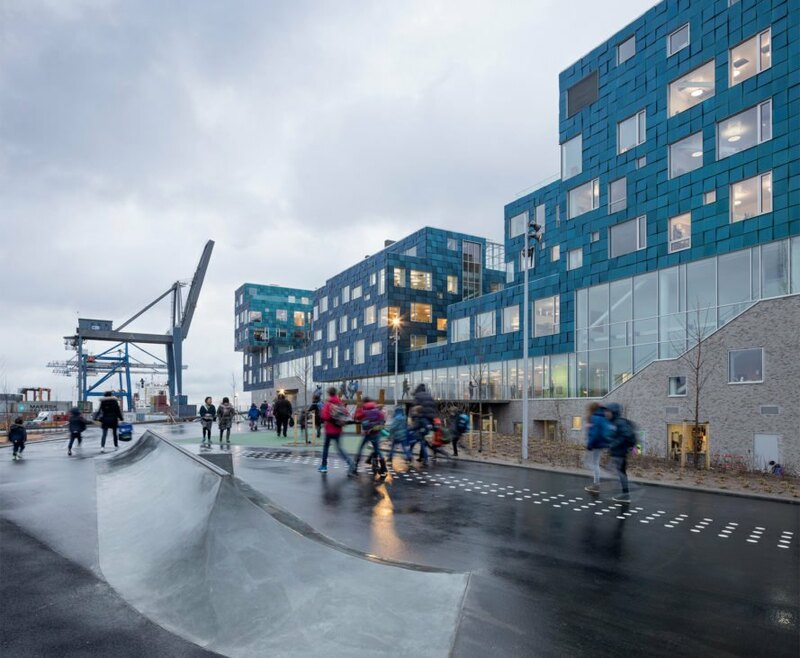 In fact, more than 6,000 square meters of the facade is clad in sea-foam hued photovoltaics. The days of hiding unsightly solar arrays are fading into the past. C.F. 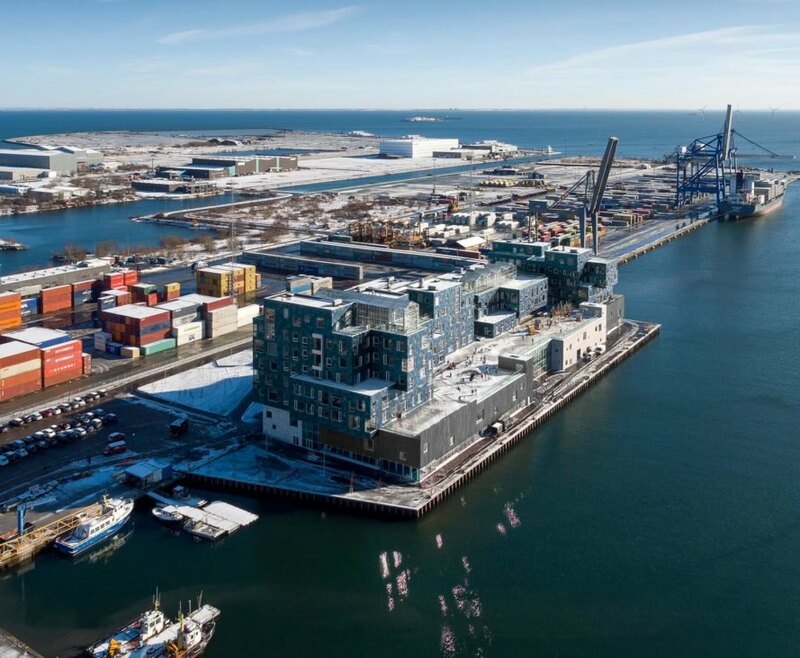 Møller's International School Nordhavn in Copenhagen uses solar panels to produce clean energy - and also as a part of the building's aesthetic. 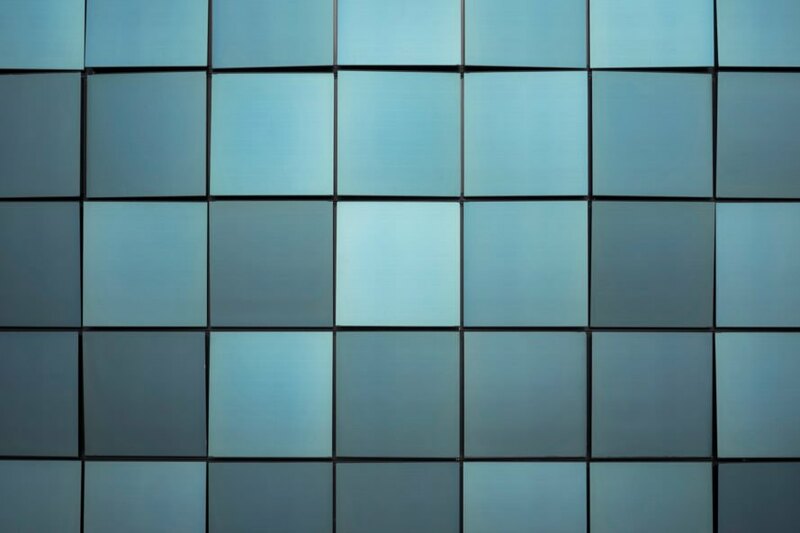 The panels are actually clear; the beautiful sea green color is a result of technology that adds fine particles to the glass surface, giving the appearance of color. 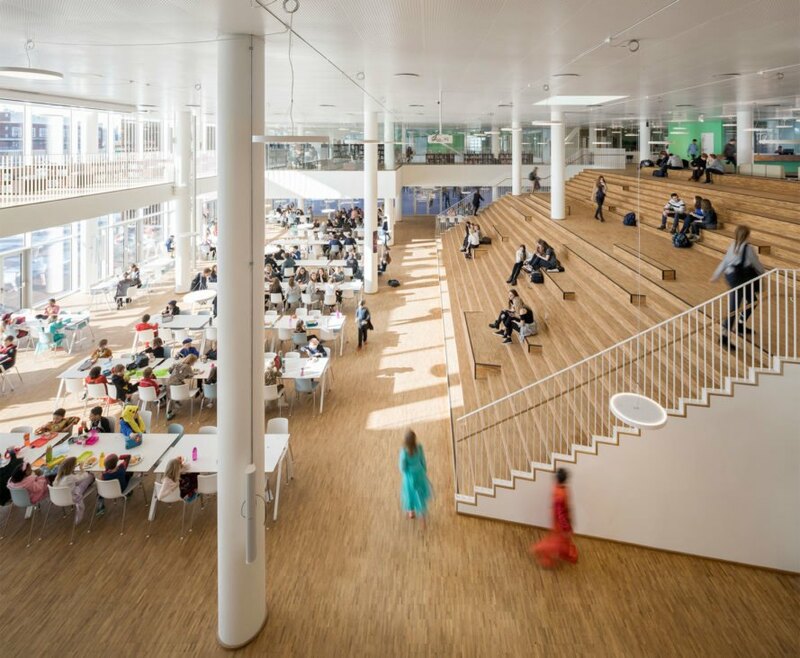 The result is a reflective green hue that varies with the light, providing the school with an attractive exterior that is beautiful, functional, and green.